•1967 - Creation of JEN Elettronics. Thomas Organ was making the first Cry Baby Wah Wah pedals in California, but Joe Benaron, president of Thomas Organ, wanted to move production to Italy to reduce costs. Joe approached the manufacturing company Eko in Italy about making the Wah. Eko declined, but Eko's manufacturing manager, Ennio Uncini, wanted to do it. Ennio and Joe then formed their own company in 1967 called JEN (named from the J in Joe and EN from Ennio). Ennio supervised operations in Italy, where Jen handled the Cry Baby Wah production for a while in 1968, as well as making the Vox Wah Wah's and other Vox pedals. Thomas Organ distributed the pedals in the USA, and JEI distributed them for the European markets. 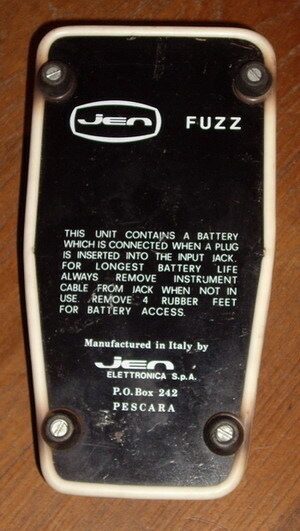 Jen later marketed a line of pedals under their own brand beginning in 1968. 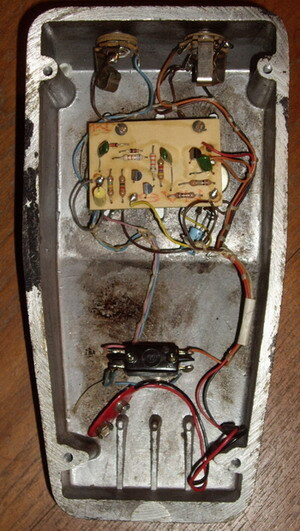 •1967 November or earlier - Vox Tone Bender on market. This is the Italian made Tone Bender, manufactured by JEN in Pescara, Italy. Gary Hurst has stated (in Guitarre 2003) that the first Italian Tone Benders were actually made by Eko, where the AC-30 was made, then moved to Jen. It was sold around the world, and is usually the unit most people think of when they hear the name Tone Bender. The Italian Vox TB replaced the briefly made Vox TB MKII manufactured by Sola Sound in 1966. The most likely reason for JMI to use Italian production instead of continuing to use Sola Sound would have been that the mass production capabilities were far larger at JEN, and the Italian's charged less than Sola Sound. Vox products were sold world wide, so capacity would have been the primary factor. 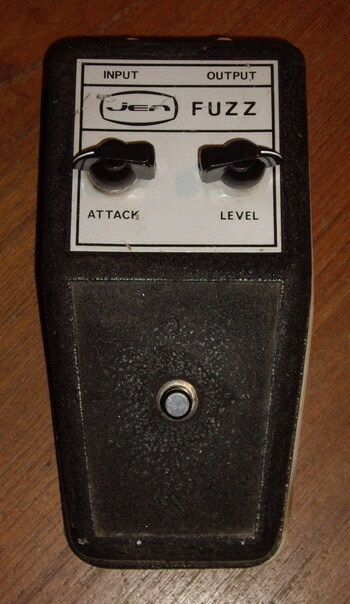 Vox had used multiple manufacturers for Organs, Wah Wah pedals, and guitars in the past, to meet demand for product, so this was common. A Vox Tone Bender has been seen with an inspection tag for Vox V828 #5035, dated "13 November 1967".